The sound-triggered fudge and roam. The fudge and roam are triggered by sound. What do you hear, what do you see? As if we were in the maze of sound. We have been thinking, at the beginning, whether Picturesque is an individual production or an extended idea from last year project. Today, we all believe that Picturesque is an attempt based on what we have achieved in last year. It was a complete work. Only now we have opportunity to represent it in different ways. We want to push ourselves out of our comfort zone and have been trying to find the way to the balance of reaching our original goal and having new experiment in the past year. For that, we have many meals together and find afternoon tea gatherings were the most useful. The different art forms as dance, drama, poetry and painting construct our further understanding and imagination dimension of Picturesque. Therefore, this time we maximize the performance level and imagination in music. Which delivers more complex feelings we have been going through in one year. Picturesque is a wonderful journey starting from a painting. Engaging visual art work in this production is one of our new attempt to realize the fantasy in our heads. Valley of Limbo completely expresses, even transcends, our three-dimensional vision of music. Last but not the least, we would like to thank all the friends who help us all the way. Water Singers are very blessed to have your love and support. Most of all, thank you to be here with us now. And at the very last, we would like to say: we create for having a performance; we perform for having an after party. Hope we have great shows so we could have great fun at after party! 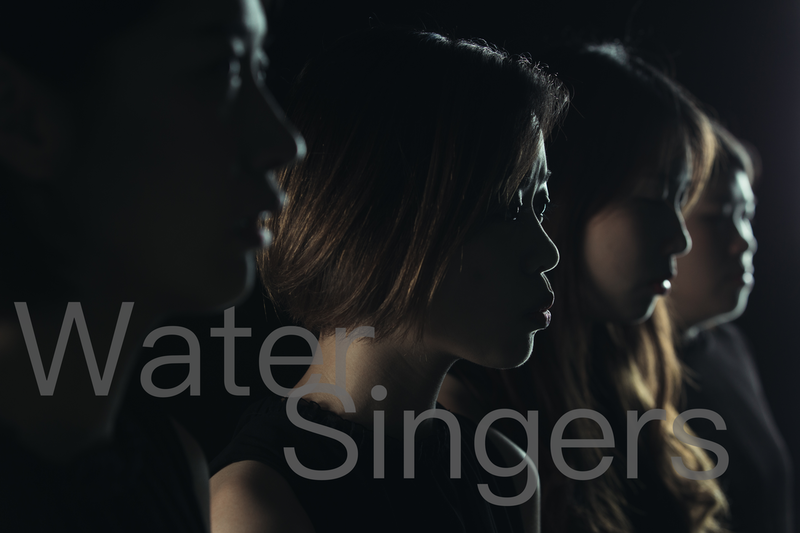 Water Singers is a acapella group based in Macau. Its music style varies and it dedicates to explore the possibilities of acapella music. It has won ‘Jury’s Choice’ at Vocal Asia Festival 2016, and being nominated for ‘Best New Group’ at Beehive Awards 2016. It has been invited to Macao Arts Festival for three years in a roll and presented Performing Arts Gala, The Bizarre Fairy Tales, The Fairy Tales from the World of Chaos, and Music All Around. Loi Nok Man, a founding member of Water Singers, graduated from Instituto Politécnico de Macau and majored in piano performance. Loi received the Laboratory for Research on the Structure of Matter (LRSM) from Royal Academy of Music in 2016. Loi plays in different both music and drama productions in Wuhan, Beijing, Chengdu, Shenzhen, and Hefei in Macau Excellent Young Piano Teacher Concert, Hanky-Panky Rhapsody III, and One night in Macao. Jason Young, founding member of Water Singers, graduated from Instituto Politécnico de Macau and majored in piano and flute performance. He performed as Principle Flute in the concert The Future of Classical Music and did exchange performances in Wuhan, Chengdu, Hefei and Taiwan. Jason was also active in different style of music in Hanky-Panky Rhapsody III, The Fairy Tales from the World of Chaos, The Bizarre Fairy Tales, and Music All Around. Lin, founding member of Water Singers, graduated from School of Arts, Instituto Politécnico de Macau. She has been chosen to Asia Pacific Youth Choir as leading vocal and performed in the United States of America, Italy, Korea, and Beijing. Recent works: Sing High!, The Fairy Tales from the World of Chaos, The Bizarre Fairy Tales, Songs of Migrants, The Kidult Man. Lei Sin Ian was born in Macau and graduated from School of Arts, Instituto Politécnico de Macau. She majored in music education and minored in piano and vocal music. Lei studied with Mr. Robert Sipos-Ori and Ms. Wang Xi. She is one of the founding members of Water Singers and had many concerts in student concerts and school open days, also in Wuhan and Chengdu. Recent works: Music All Around,The Bizarre Fairy Tales, and The Fairy Tales from the World of Chaos.